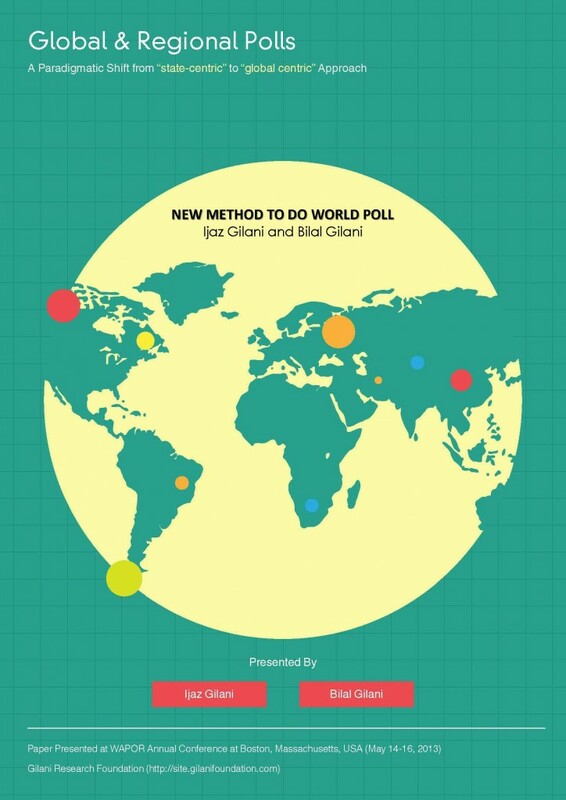 Dr. Ijaz Gilani and Bilal Gilani present an unconventional method to do World Poll. They argue that their Method adopts a ‘global-centric’ approach instead of the conventional ‘state-centric approach’ to choose a sample of the world. The paper presents a list of 1000 Sampling Blocks from across the world. These Blocks were chosen randomly (PPS) by the authors from a larger list of 350,000 sampling blocks, which constitute their Global Census data. The authors have developed a Global Sampling Software which generates different types of samples to do global or world polls and regional polls. They argue that a global sample of 20,000 men and women can provide a truly representative poll of the world which can be replicated and used for trend data and cross-sectional analysis of key regions of the world. The authors believe that their global-centric method to do world polls can produce truly representative world polls at affordable cost and rapidly, possibly within a week’s timeframe. The paper was presented at the WAPOR Annual Conference held in Boston in May 2013.